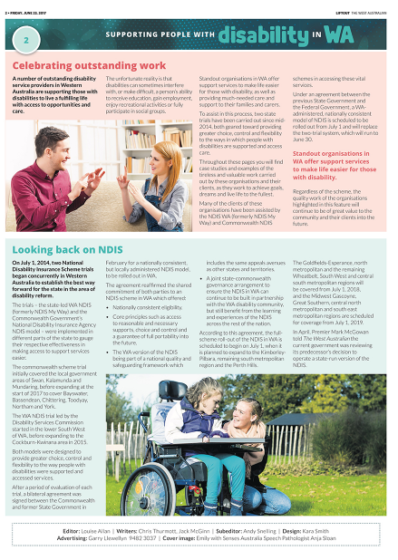 On Friday June 22, The West Australian will produce a magazine for Supporting People with Disability in WA. 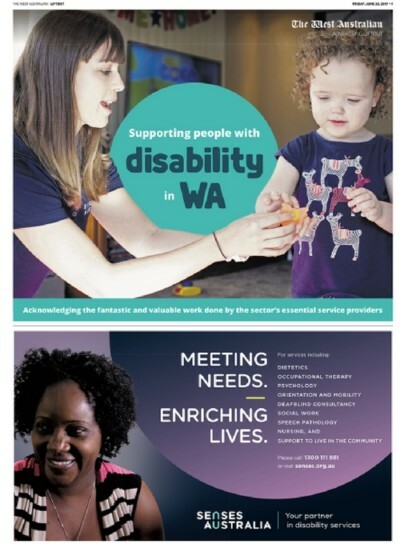 This special publication will highlight the various groups, organisations and services providing valuable support and information for people living with a disability, and will be hosted on a digital microsite housed on thewest.com.au. Gain exposure to 545,000 weekday readers of The West Australian, including 362,000 who believe the quality of health care services needs to be improved and 84,000 who frequently use alternative health services. Rates include GST and colour. Source: emmaTM conducted by Ipsos MediaCT, People 14+ for the 12 months to December 31, 2017. ¹Services used in the last four weeks. 2ABS Household Expenditure Survey (Top 20% of spenders).